Dyslexia Story | The Kids Beat | Kids VT - small people, big ideas! Reading is rough when you've got dyslexia. 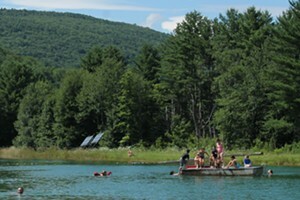 That's what motivated Vermont author Sean Plasse, who suffers from the learning disability, to write The Brothers Plad. With its phonetic spelling of "plaid," the book aims to "turn reluctant readers into relentless ones," according to the Facebook page for the book. Plasse's brother Matt edited and financed the project. Appropriately, the story is of two young brothers on a quest to fish a remote trout hole in the Northeast Kingdom. Along the way, readers encounter the icons, vocabulary keys and phonetic spellings that make the written narrative dyslexic-friendly. It's the Hardy Boys, but dressed in plaid and fighting through Green Mountain puckerbrush to land a brookie. 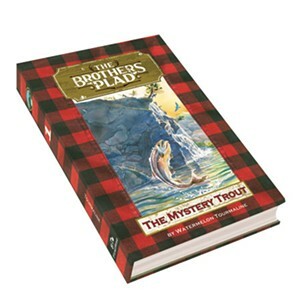 "The Brothers Plad:" by Watermelon Tourmaline, aka Sean Plasse, illustrated by Kevin Ruelle, self-published, 272 pages, $23.95. Info, thebrothersplad.com.